Burton will be playing for pride only as they welcome Pep Guardiola’s Manchester City side to the Pirelli Stadium for this EFL Cup semi final second leg match. Nigel Clough’s Burton side should be concentrating on the achievement of reaching the semi finals of the EFL Cup rather than dwell on the 9-0 drubbing they received in the first leg. This second leg is all about saving face and even a defeat by only a couple of goals would be an achievement when the two clubs’ financial muscle is taken into account. Pep Guardiola was criticised in some quarters for supposedly humiliating Burton in the first leg. 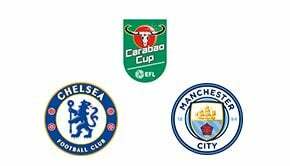 But those same voices would rail against top flight clubs fielding weaker teams in the EFL Cup – and Manchester City seem to go into every competition wanting to be victorious. The pressure is off here but expect City to still win by a clear margin. Burton had been on a good run in the league before the first leg thrashing so it will be interesting to see how that defeat will affect the side as they go on with the rest of the season. Nigel Clough will know that even a consolation victory here is probably unlikely but as long as they perform well the club has much to be proud of. The Champions League, Premier League and even the FA Cup will be more important for Manchester City this season but at this stage of the tournament the players will want to have that winners medal – no matter what the competition. The goal tally might not be quite as high in this second leg but City could still run out 4-0 winners. Online betting sites will be taking the first leg into account when they price this match but Burton will dig in against a weaker City side and could keep parity for 45 minutes – it’s 5/2 with 10bet that they do. It was far too easy for Manchester City in the first leg and although Burton will do their best to stop a repeat of that disaster, City could still win by more than a few goals. They’re 37/13 at 10bet to win by three. These two sides met for the first time in the first leg of the semi-final. Before this season Burton Albion had never gone further than the third round in the League Cup. Manchester City have really enjoyed this competition in recent seasons – they have won three out of the last five finals. Burton Albion spent no money at all in the summer – bringing in six players on free transfers. That compares with what was a relatively frugal transfer window for Manchester City when they spent just £63m. The 2016/17 season was the first since 2010 that Manchester City did not win any of the competitions that they entered.